Sakura (cherry blossoms) are a quintessential part of spring in Japan. 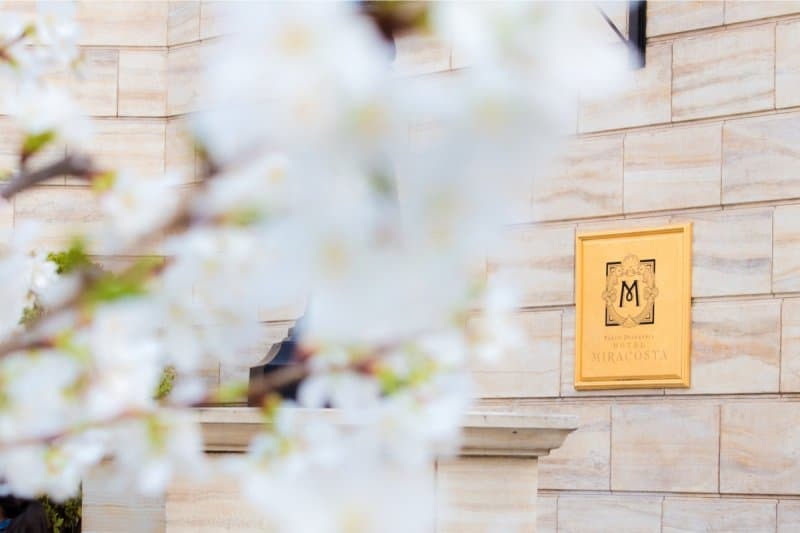 Locals and visitors alike flock to parks around the country to take part in hanami (a picnic with tons of eating, drinking, and socializing). The beauty of sakura only lasts for a short period, so timing is part luck and part planning. 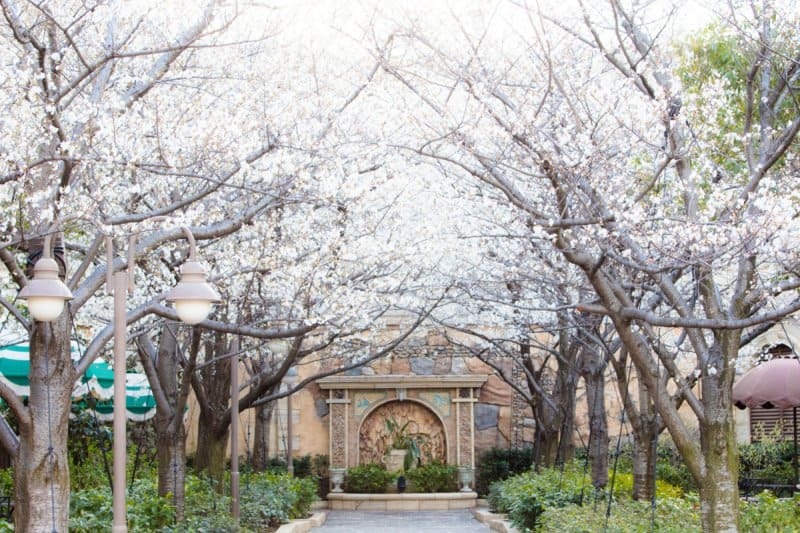 Tokyo Disney Resort has sakura trees both in the Parks and around the resort area. 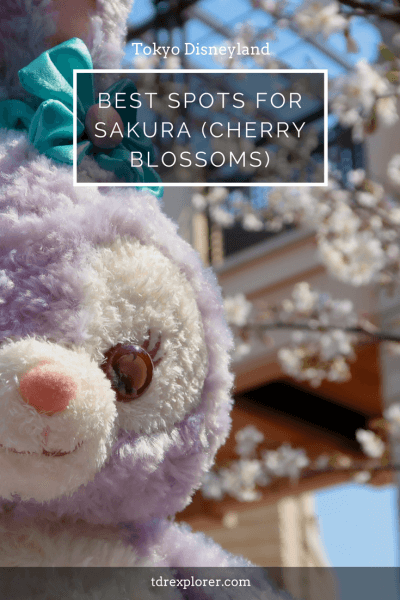 I’ll tell you the best times for sakura viewing, the blooming predictions for the year, and where to find them at the Resort. There are different types of sakura and some bloom earlier than others (read this post for the differences). 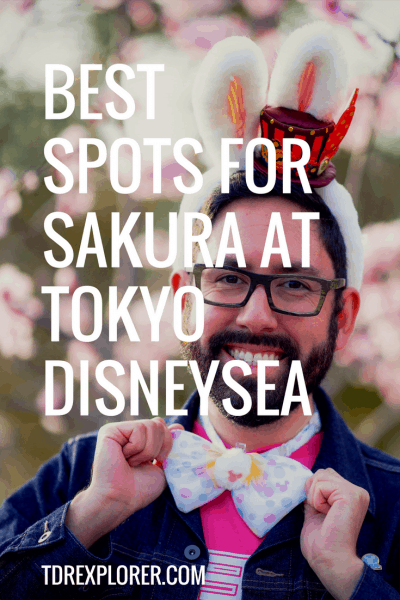 Sakura isn’t the only things in the Parks that are pink; there’s a large number of pink merchandise available now at both Tokyo Disney Resort and the Disney Store. 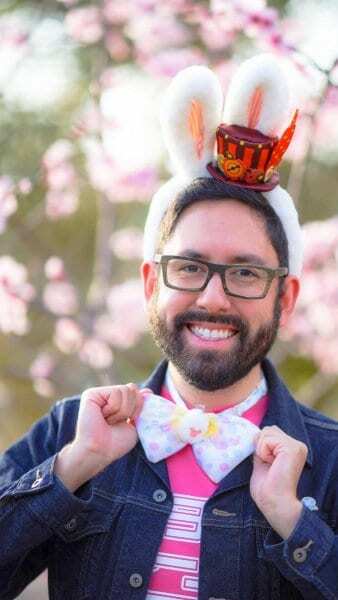 Starbucks and other stores throughout the country offer a wide range of pink and sakura-themed merchandise over the spring too. 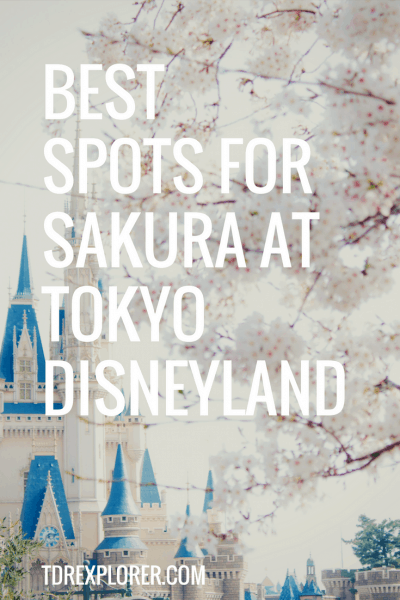 Don’t forget to read our cherry blossom guide for the Tokyo area too! 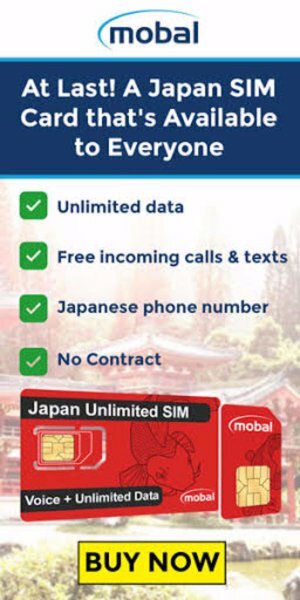 When is the best time to view sakura? The sakura bloom at different times depending on the area in Japan. 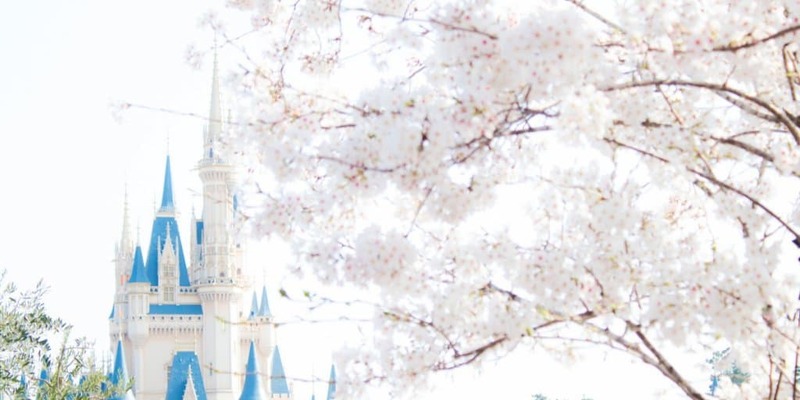 Here, I’ll focus on the Tokyo and Tokyo Disney Resort area (Urayasu). Each year the popular prediction calendars help you plan your trip. Remember, these are just predictions and the forecast is not guaranteed. Once the trees are in full bloom, they last maybe a week before the petals fall. This depends heavily on the weather. If it’s windy, rainy, or gets cold again, the petals may fall off quicker than usual. If you spot what looks like sakura before the prediction times, those are usually Ume (Japanese Plum) or Kawazuzakura trees. These blossom around later February and the beginning of March. My personal favourite is the picnic area outside Hotel MiraCosta. It’s usually quiet earlier in the day and is peaceful. I recommend taking a break here to soak in the beauty. If you want to enjoy the full hanami picnic experience, then I recommend heading to Kasai Rinkai Park. The park is free to enter and there are plenty of activities for families. If I missed any spots let me know in the comments! 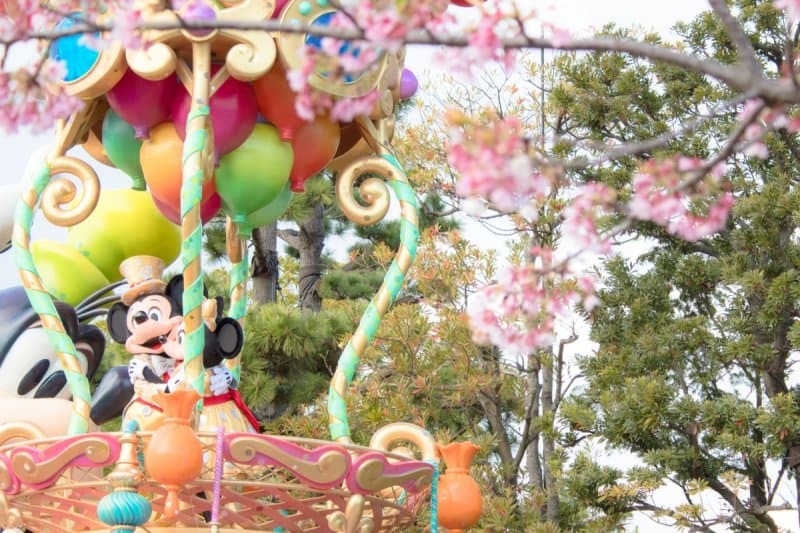 If you’re visiting in March or April remember the Tokyo Disney Resort 35th Anniversary “Happiest Celebration!” runs until March 25, 2019, and Disney’s Easter begins April 4, 2019. If you’re in the Urayasu area, I recommend reading this website. It’s only in Japanese, but Google Translate will help in most cases.